Georgia Akita Rescue View other Akitas for adoption. 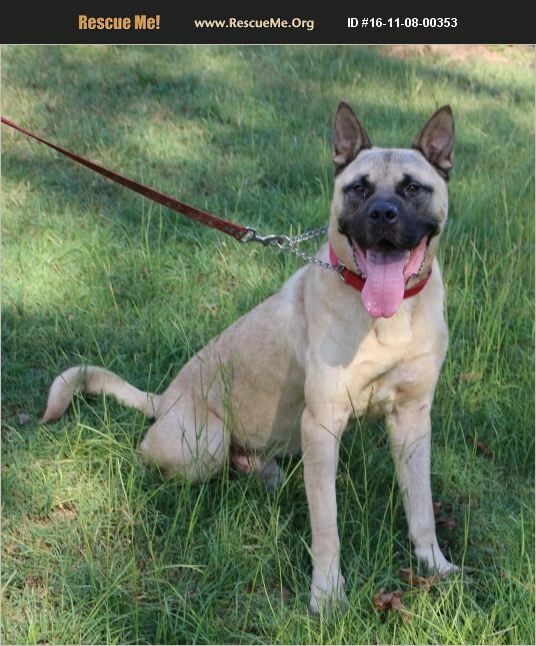 Zuma is a very handsome fun strong and energetic Akita malamute Mastiff mix Who lost his family suddenly. He was going to Be killed in the shelter and rescue picked him up. He is about one year old and weighs about 95 pounds. He is totally vetted and healthy and heartworm negative and a very sweet boy. Zuma would do best with basic training. He loves to run in the yard and would love a very playful dog friend and a fenced in yard. An active family would be a plus. But at the end of the day he just wants to snuggle with you and cuddle. He is ready for his new family. Because of his strength and size we would not recommend small children. Older children 8 years and up would be fine. If you are interested in meeting ZUMA, please send us an e mail to receive an application. Do not fill out an application online. His adoption fee is $2 50 which includes all his vaccines, heartworm test, neuter and micro chip We are only able to meet with pre approved adopters by appointment as we are operating on foster homes only and our property is not available to the public.